This week we're talking about pie. Federal budget pies, that is. 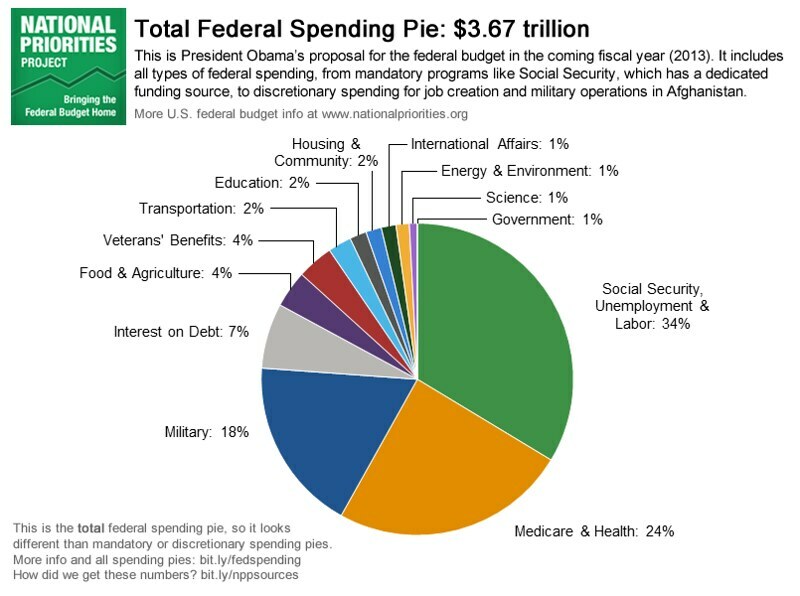 The first pie we're looking at is total federal spending. Join us every day this week for a different slice of pie! Check back here or on Twitter and Facebook. « You Ask, We Answer: How Much of the Federal Budget Funds the Military?